In 1 Corinthians 16:13 men are commanded to act like men and be strong. It is our belief that if God's Word tells us to act like men, He must mean something by that. What our world needs today is men, that will lead their homes, lead our churches and stand for what is right in our communities. 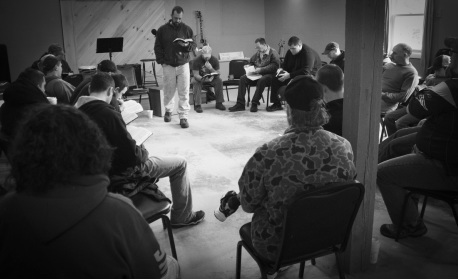 Every third Saturday of the month, our men are invited to gather together to eat and fellowship with one another, and then to look to His Word to be challenged as men.